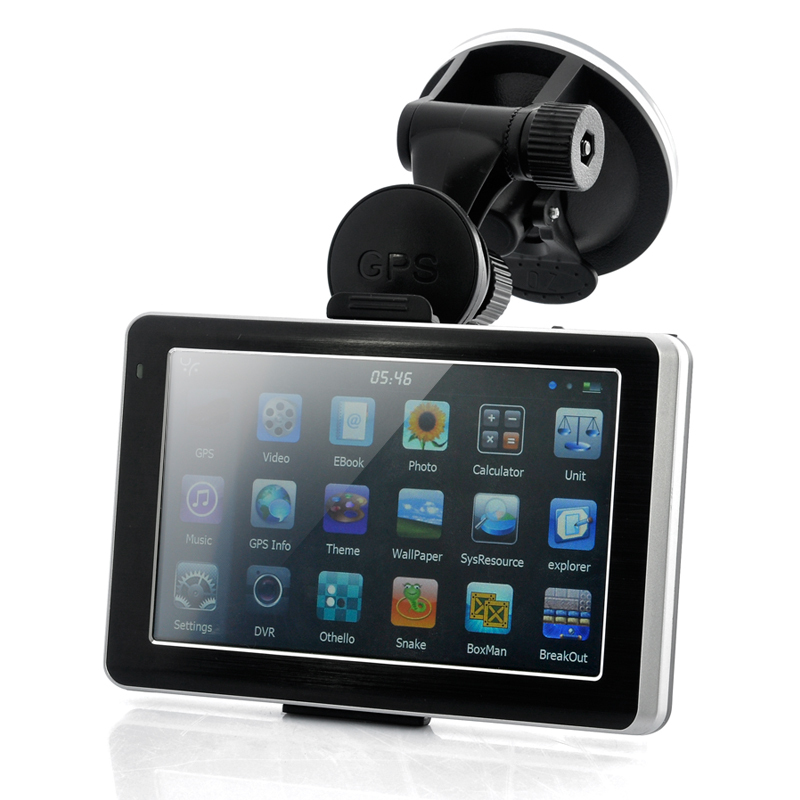 Successfully Added Car GPS Navigator - 5 Inch, HD DVR Dashcam to your Shopping Cart. Portable GPS navigation device with 5 inch screen and built in HD car DVR. This portable GPS navigation device utilizes the lightning fast SiRF AtlasV chip Windows CE 6.0 operating system for improved power and performance. Running on the Windows CE 6.0 OS, the most popular OS for GPS devices, you will be able to load in your maps and experience amazing features like lane assist, voice guidance, 3-D views, and intelligent route planning. The high resolution 800*480 screen and will display the route clearly and guide you to your destination efficiently and accurately. As an added bonus, this portable GPS navigator includes a built in Dash Camera HD DVR recording at 720P HD resolution. This means whatever happens in front of your car so you can be covered by video footage, perfect for evidence in case of accidents. Use it as a handheld or mount it in-car with the included car kit. It also comes with a Car Charger, AC adapter, USB cable, Mounting Bracket and everything you need to use it! It powers on instantly, comes with an incredibly responsive touch screen and is compact enough to fit in your pocket! Add this GPS to your cart now! Brought to you by the online leader in direct from China wholesale electronics - Chinavasion. Has not missed a beat for the last 3 years. Good platform for everything it was intended for. Device has 500Mhz Sirf IV cpu and 128Mb ram (not 64) and runs on WinCE 6.0. You can access to WinCE desktop, which is very nice for testing / running gps tools and other software. It can both run GPS and record video from dash cam at the same time. In fact, it auto-starts recording after you open device. As usual, it auto rotates available space and older videos get deleted. 4Gb microSD card can keep 30-35 minutes of video. You need a seperate microSD card for video function and it has to format card itself. To play video files you use ADRPlayer and you can export videos aswell. Video quality is not perfect, but it is very smooth at real 30 fps. I can also confirm lens is 120 degrees which shows more details. Nothing can beat this lovely device at this price point. You buy car gps and you get dashcam car dvr with the device. 2 features in 1 device, save space, save money.